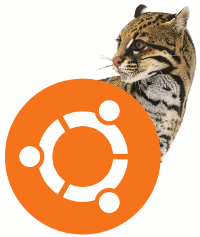 New version of Ubuntu 11.10, Oneiric Ocelot, avalaible on line. I still have to test it, but what I had to do was immediately enable the gnome desktop. I don’t know why once again gnome is not in the initial repository, I can’t understand how you can use Unity ….. Let’s see how is possible to install Gnome in few steps. Once the installation is finished you don’t must reboot Ubuntu, just restart the session. At this point in the login box,in the boot options you’ll also be able to choose the Gnome shell.